In these cold, lonely months without the NFL, the Madden game series is the go-to for football fans in need of a fix. 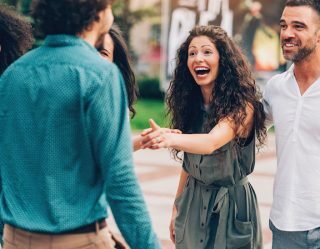 Plus, like many sports games, it allows you to put right many of the sporting injustices that happened last season — like Tom Brady ambling his way to another Superbowl win or that refereeing call in the Rams-Saints game. Or if you’re a Bears fan, you can just boot up franchise mode and hire a kicker who understands that to convert a field goal, you have to kick between the posts. Endless possibilities! But when did this legendary gaming series truly take off? 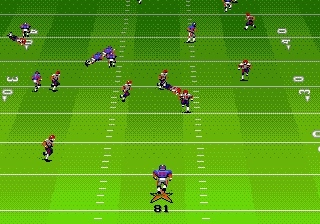 That would be 1991, when John Madden Football ‘92 hit the Genesis. 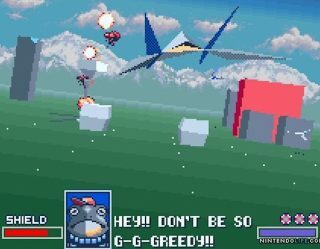 This is the first segment in our new series, Nintendo Nostalgic, where we highlight the best games of the ’80s and ’90s. Stay tuned! Here’s a look at what cemented this as one of the greatest sports game legacies of all time. 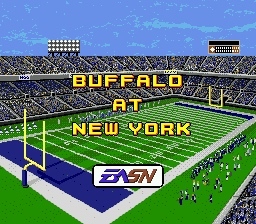 The Madden games of today are a feast of state-of-the-art graphics wrapped up in ultra-realistic, TV-style presentation. 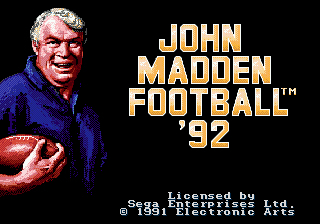 But John Madden ‘92? Eh, not so much. But what it does have is an abundance of old-school charm. For starters, the game has some great animation for a Genesis title, and the player sprites are at least easy to make out during scrimmage. 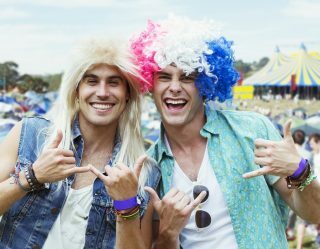 The game also has plenty of time for football’s rabid, usually drunken crowds. Rack up the good plays and you get showered with praise. Bad ones, you get showered with debris. 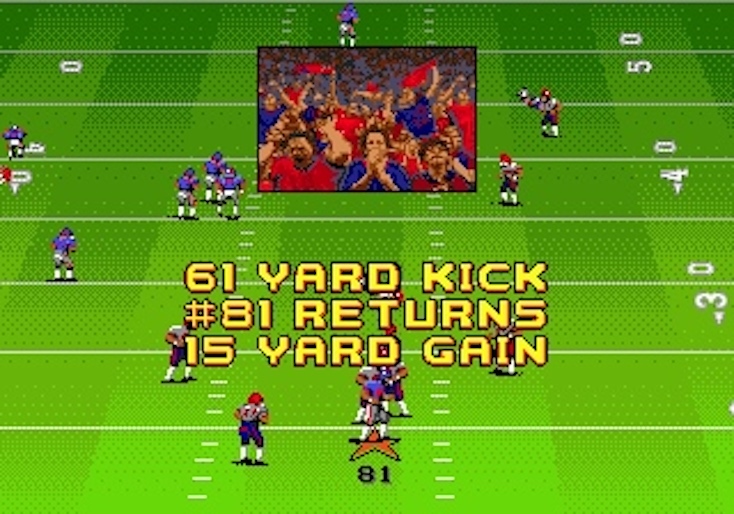 What Madden ‘92 lacks in aesthetic, it more than makes up for with its sense of humor. The Madden experience captures all the joy and despair of real football. The high of making a clutch play on third down and the frustration of throwing a pick are just two examples. But there’s so much more in between. 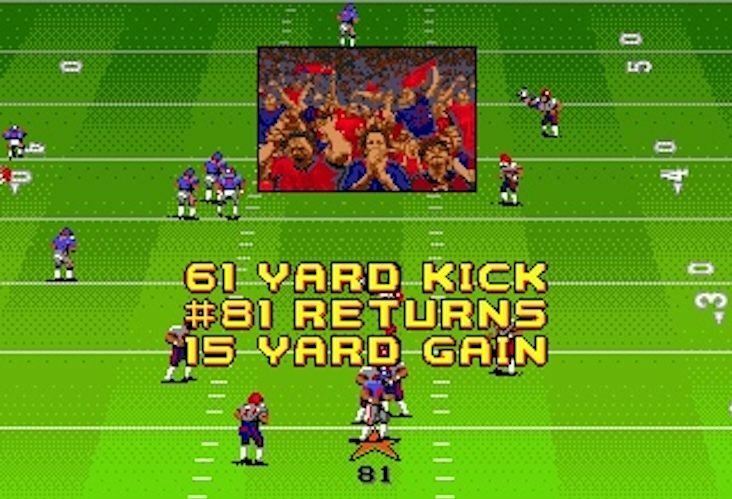 Surprisingly, Madden ‘92 has plenty of these moments, too. All 28 teams of the 1991/1992 NFL season are here for selection, and there’s still a huge playbook to build your strategy from - pretty impressive for a Genesis game. The variety of ways you can evade tackles - spins, dekes, and stiff arms - are here just as they are in the current-gen games. 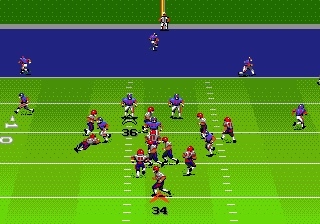 On the whole, the controls have changed so little over the years that Madden ‘92 doesn’t really feel all that different from today’s version - and it can still be just as exciting. 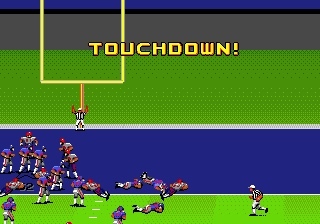 Besides its iconic theme tune, Madden ‘92 does a tremendous job getting as much as it can out of the Genesis sound chip to produce a convincing match experience. The crowd reacts passionately to plays on the field, and the groans of players taking hits sound as painful now as they did back then. Best of all are the game’s speech samples. It never gets boring hearing the referee call “First down!” as you make up the yards. 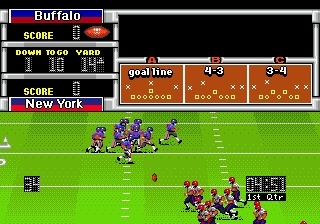 For everything that Madden ‘92 brought to the franchise, there was one feature that has sadly been left out of the modern-day entries. Injure a player during a game, and a medical ambulance takes to the field to pick up the wounded and whisk them off for treatment. The trouble is, there are lots of players in the way. So how does the ambulance get around them? It doesn't. It simply runs them over. 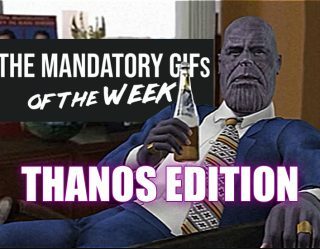 The more it happens, the funnier it gets. 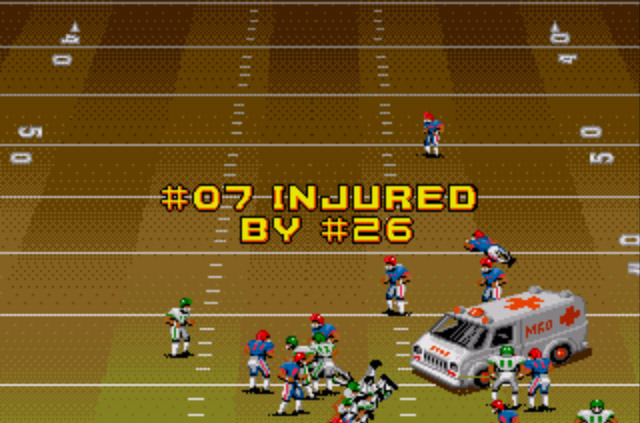 And Madden ‘92 gets better with every play, too.